SARASOTA (WWSB) - Warmer temperatures today as winds shift and the cold air supply from the north is cut off. Highs will be near the average today and well above the normal on Wednesday. The next weather maker will approach from west and bring with it a good chance for showers and thunderstorms in Florida on Thursday. 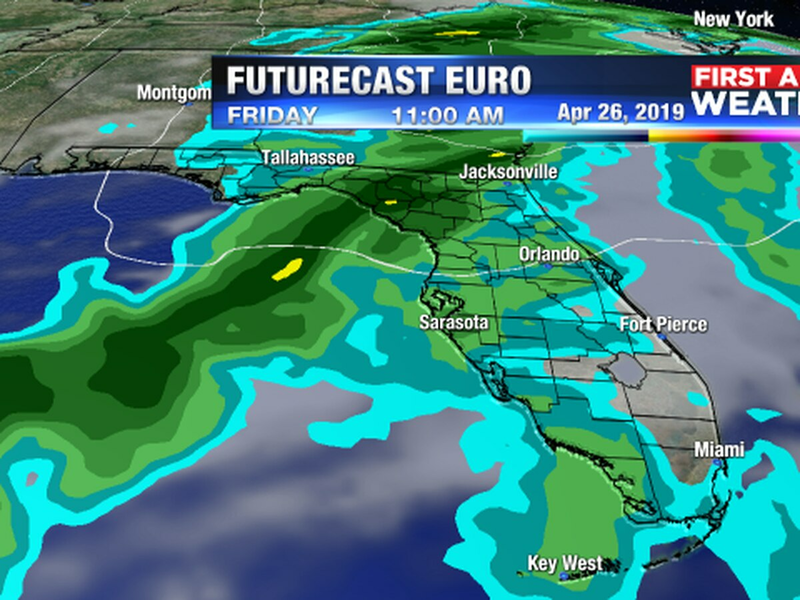 the Suncoast could see the arrival of the showers as early as morning drive time before showers depart in the second half of the day. 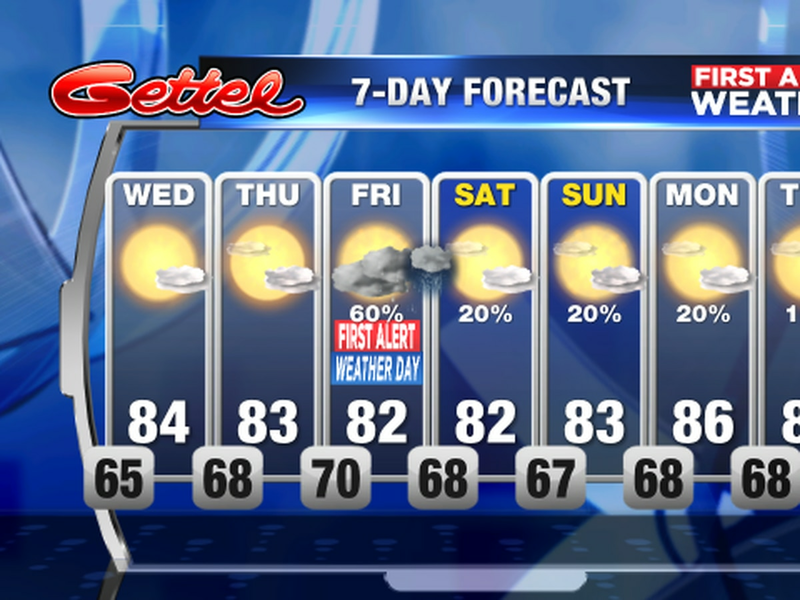 Thursday will be a First Alert Weather Day. Cooler air will arrive once the front is to our south on Friday. Despite sunshine on Friday the highs will be in the lower 60′s. Temperatures stay cool into the weekend before yet another front brings a chance for Sunday showers and another shot of cooler air.